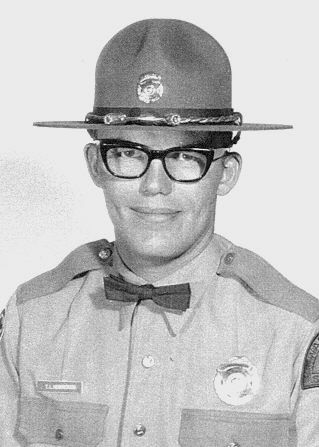 On Sunday, November 17, 1974, Trooper Tom Hendrickson of the Washington State Patrol conducted a traffic stop on SR-20 in Mount Vernon when a vehicle traveling westbound in the eastbound lanes crossed over the center line and struck him. The suspect vehicle fled the area. During the course of the investigation, a piece of purple debris was located at the scene. A vehicle of the same purple color with body damage passed through the scene. Troopers attempted to stop the vehicle and after a brief pursuit they were able to take the suspect into custody. He was arrested for driving while intoxicated and found to have a .12 BAC. On November 10, 2011, the Washington State Patrol held a ceremony at their Burlington detachment office where they named the loop road on the property, “Thomas Hendrickson Memorial Loop.” Trooper Hendrickson’s wife, Barbara, spoke at the ceremony and reminded troopers that her husband was killed on the driver’s side. She asked troopers to be safer during traffic stops and contact violators on the passenger side.  Trooper Hendrickson had served almost four years with the Washington State Patrol. Trooper Hendrickson is survived by his wife and two children.